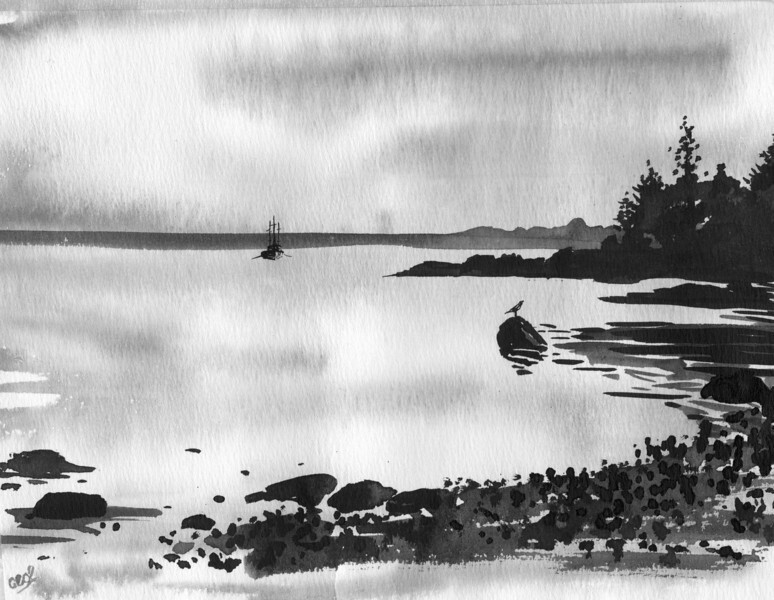 This pen and ink study of the Maine coastline was done in the studio from reference photos after walking the Maine coastline. There is such quiet beauty there. It was amazing to see how little color there was that morning because of the surrounding fog that was just starting to lift. Black india ink was an easy choice for capturing the moment.